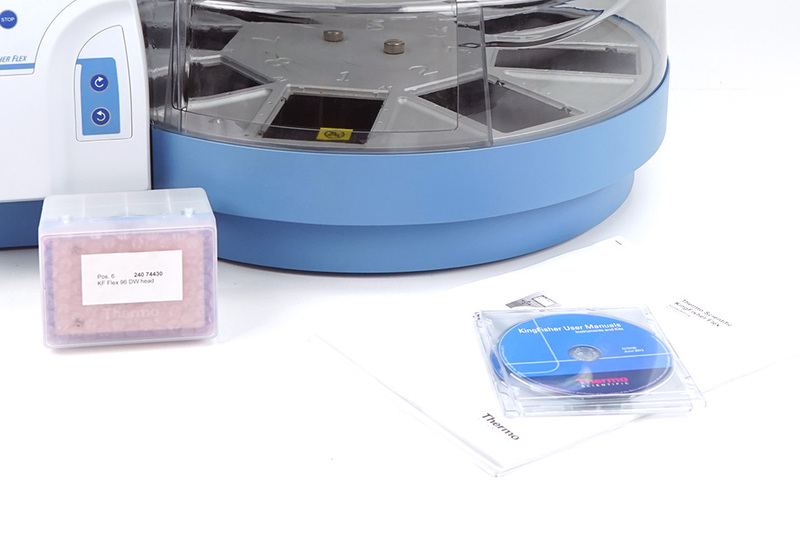 The Qiagen QIAcube uses advanced technology to process Qiagen spin columns, enabling seamless integration of automated, low-throughput sample prep into the laboratory workflow. 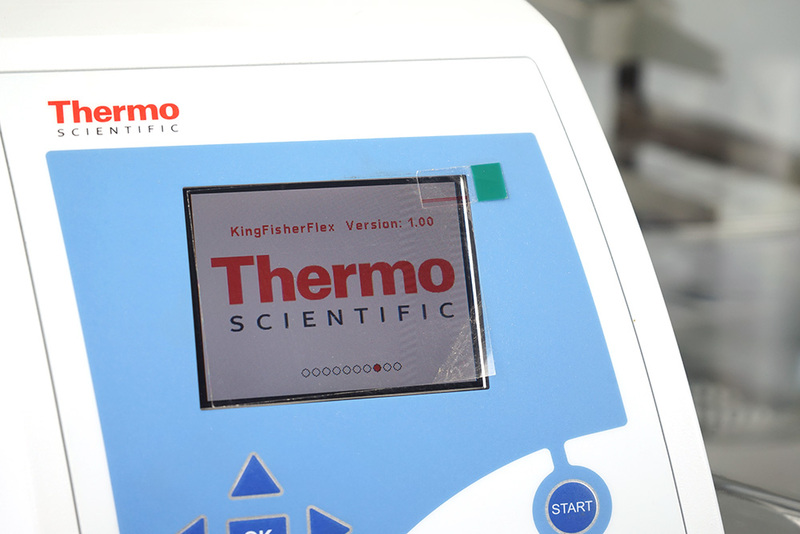 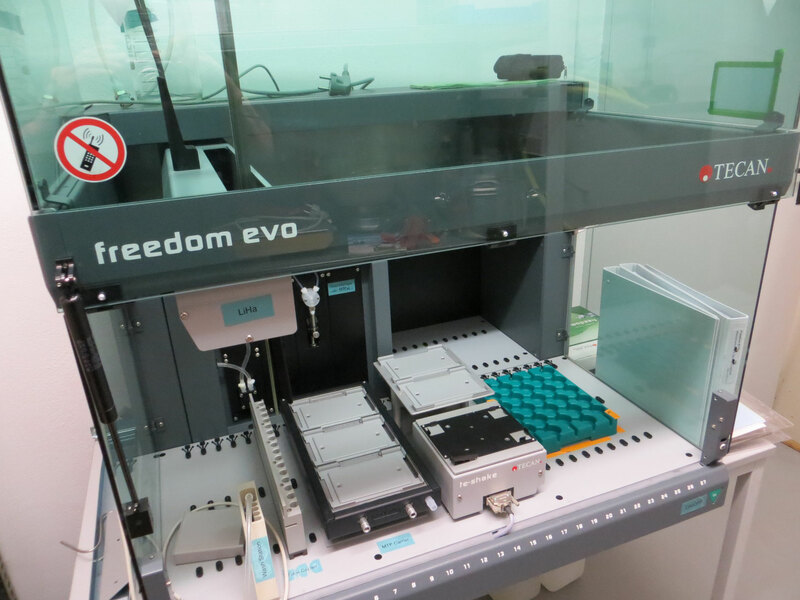 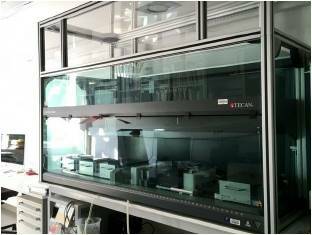 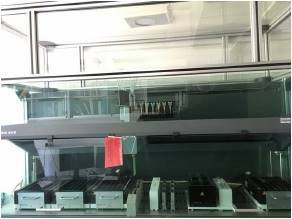 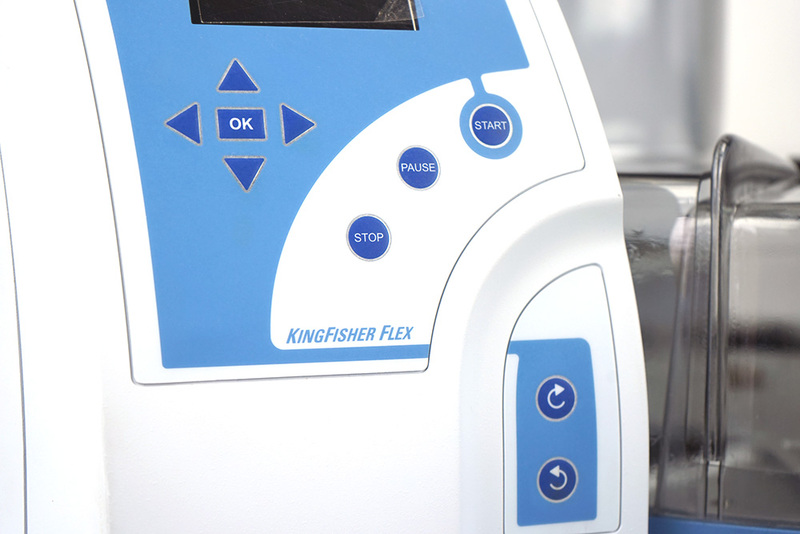 All processing steps are performed by the QIAcube – from sample lysis to elution of highly purified nucleic acids or proteins. The QIAcube is preinstalled with protocols for purification of plasmid DNA, genomic DNA, RNA, viral nucleic acids, and proteins. 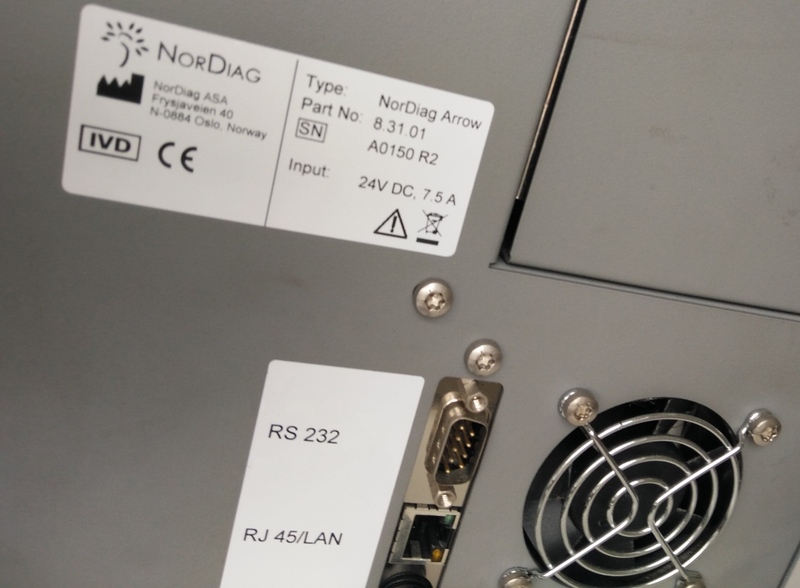 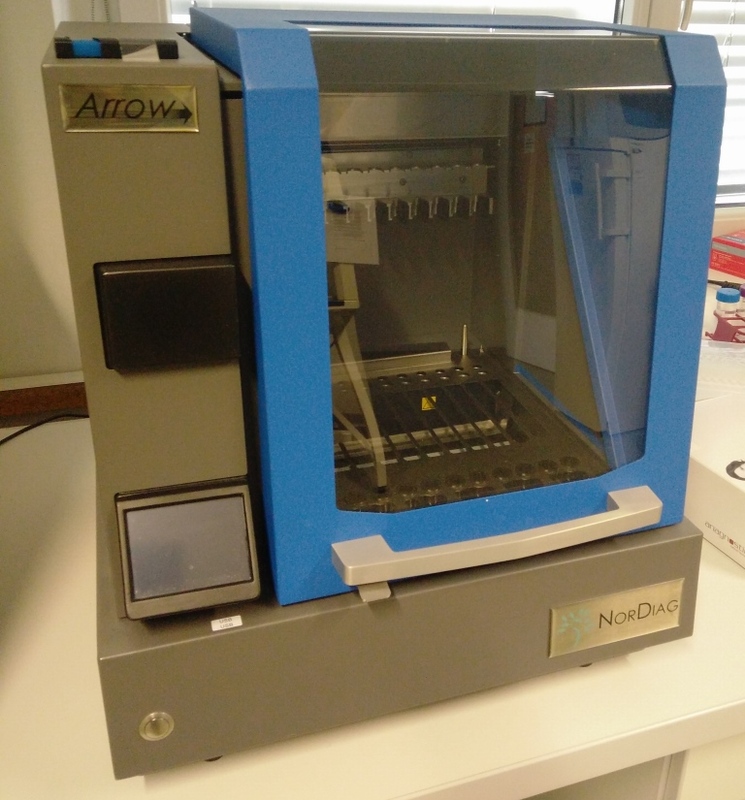 The Nordiag Arrow is an automated genomic DNA and RNA extraction system from virtually any source. 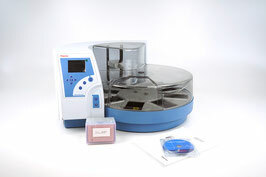 Using paramagnetic bead technology, the Nordiag Arrow extraction system processes 1-12 samples in just 50 minutes. 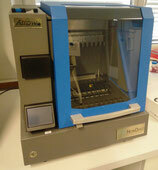 Demonstration device, ran only a few times and has never been used with any samples or for infectious work. 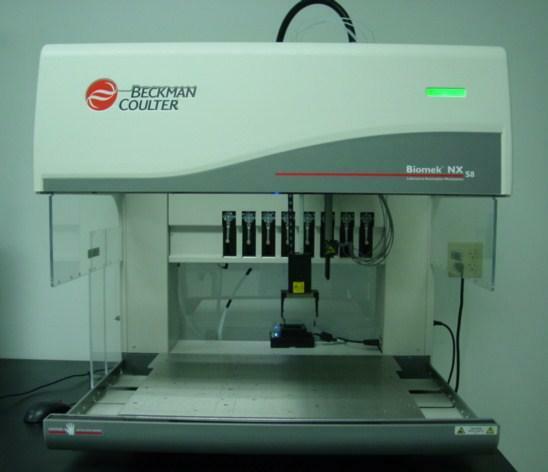 Year of construction: 2007. 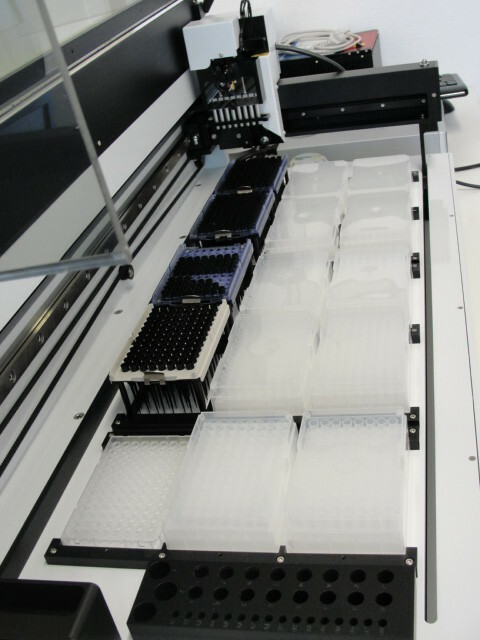 With 8 pipetting channels for the handling of microtiter plates. 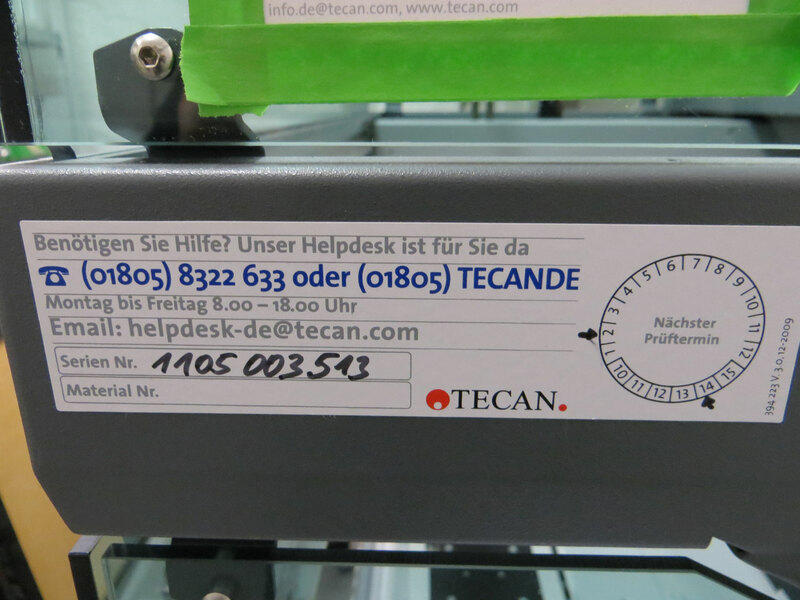 With control PC type Pentium IV and 15"-flat screen. 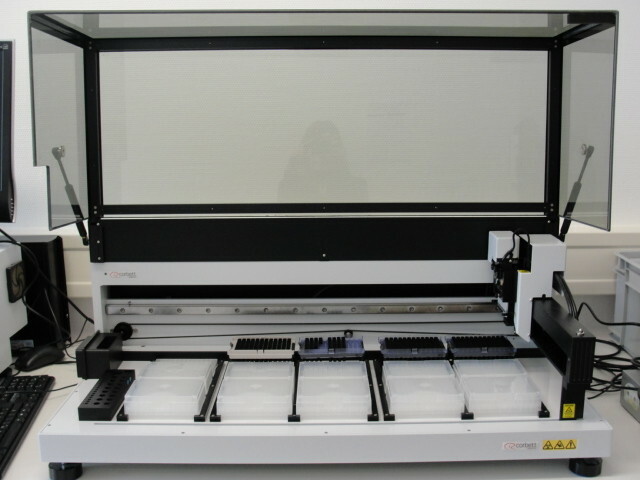 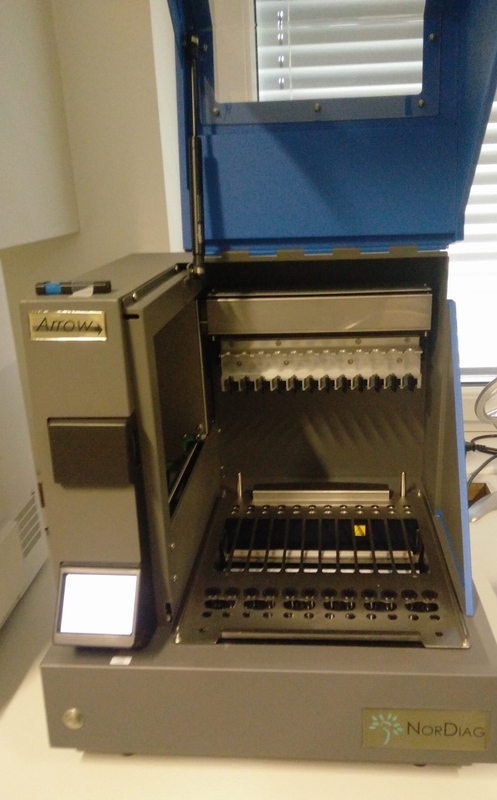 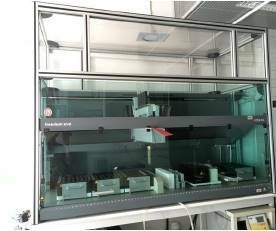 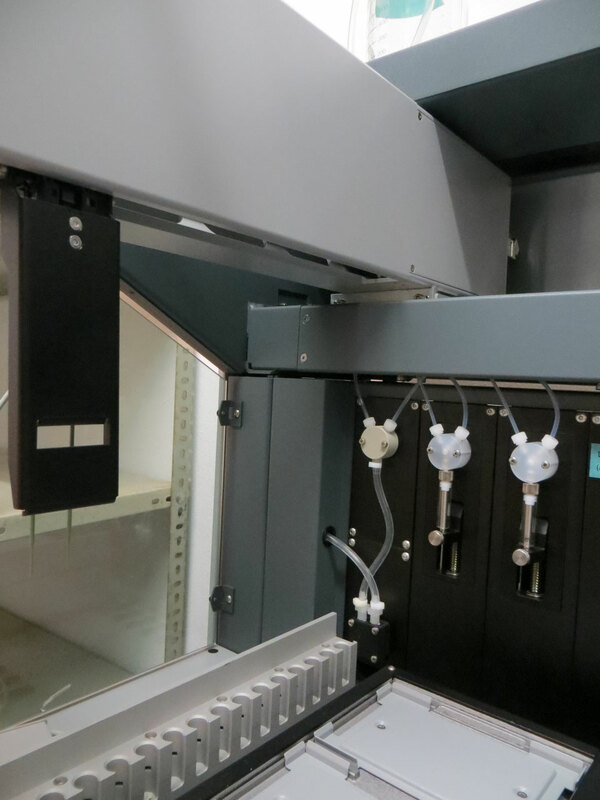 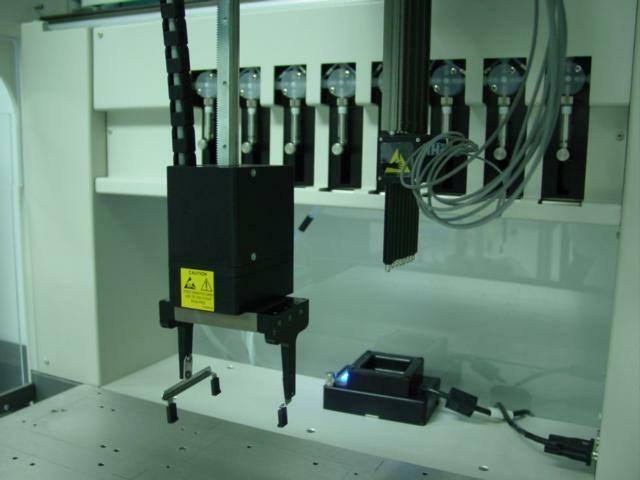 Pipettor for for mid- to high-throughput laboratories. 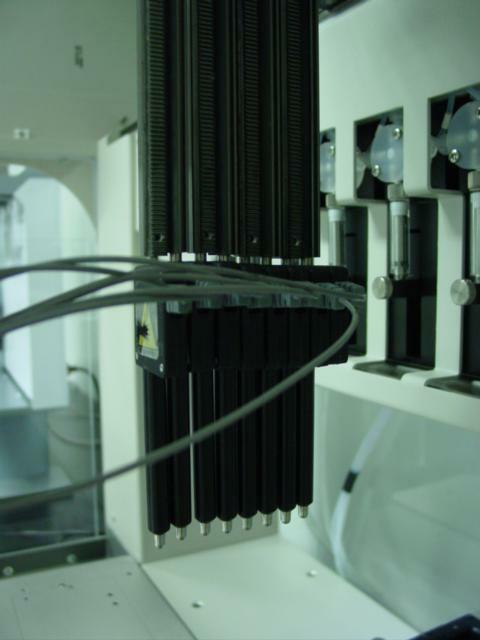 2 variations: Span-8- or 96/384-channel-pipettor. 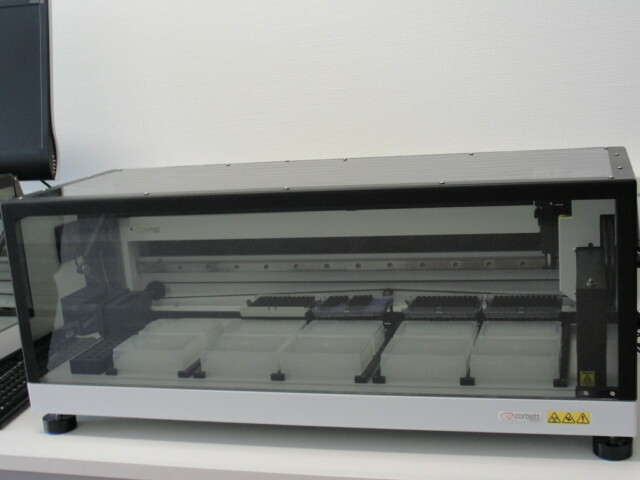 Integration of other devices like incubators, reader etc.